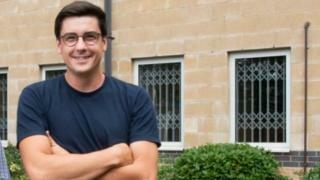 A graduate who co-founded a company while studying at university could become a multi-millionaire after it was sold in a deal potentially worth £623m. Dr Harry Destecroix, 31, co-founded Ziylo while studying for his PhD at the University of Bristol four years ago. It created a new technology which can be developed to treat diabetes more effectively. Pharmaceutical giant Novo Nordisk’s purchase means it now has full rights to develop glucose responsive insulins. Dr Destecroix, described the molecule could be the “holy grail” of insulin and said he hoped the sale will offer ground-breaking treatment for diabetics. Ziylo, a university spin-out company, developed a synthetic molecule which works by binding glucose in the bloodstream more effectively. The molecule is a product of 20 years’ work at the Anthony Davis lab at the university, which specialises in molecular chemistry. Danish firm Novo Nordisk, one of the biggest manufacturers of diabetes medicines, will now aim to use this molecule to develop a new type of insulin which aims to help diabetics manage their condition more safely. The next steps will involve further research and work to create the new drug followed by clinical trials. It is likely to take about 10 years to come to market and the £623m figure is based on this potential success. The glucose binding molecules discovered by the Ziylo team have the potential to lead to the development of insulins, which can potentially remove the risk of hypoglycaemia, when blood sugar levels fall below normal. In some cases this can be fatal, or cause other serious conditions like seizures or a coma. “Novo Nordisk, as the leader in the diabetes field, is the ideal company to maximise the potential of the Ziylo glucose binding molecules in glucose responsive insulins and diabetes applications, and it brings hope of a truly ground-breaking treatment to diabetes patients,” added Dr Destecroix. Ziylos was founded by Dr Harry Destecroix, Dr Anthony Davis and Tom Smart and has a total of 30 stakeholders. Other directors of Ziylo include the primary investor, Keith Macdonald and the Dr Andrew Chapman also led the development of this science.